A woman flees the hospital even as her infant son is breathing his last breaths. An aging construction worker comes to grips with the end of the only life he's ever known. A deadbeat father meets his son for the first time only to be blindsided by the boy's birth defect. A man steals a corpse in order to give his father the burial he wanted. 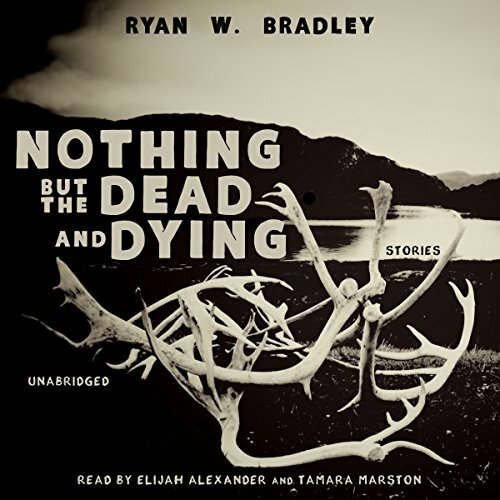 In Nothing but the Dead and Dying, Ryan W. Bradley takes listeners into the world of blue-collar Alaska, reflecting on all that is unique about the rough and untamed state while touching on the basic truths about what it means to be human. The 20-plus stories in this collection are tied together by the Alaskan landscape, exploring the diverse ways in which people manage life's difficulties. The characters are laborers in a harshly beautiful environment, something that is echoed in their relationships with friends, family, and lovers. ©2015 Ryan W. Bradley (P)2015 Blackstone Audio, Inc. These hard-hitting, honest and always compassionate stories about life, survival, work and loss in the arctic are some of the best I've read all year. The prose is sparse, and the fact that Bradley has worked on a construction crew in the Arctic Circle himself lends a lot of authenticity to these stories. A new voice worth listening to, and for many writers, envy.